The first psychological themes appeared in Davide Grazioli’s work in 2003 in the form of a citation of James Hillmann’s book “The Soul’s Code”. Hillman’s perspective deeply influenced the artist’s way of interpreting the issue of identity. Opening up to a more oriental conception of the self led him to search ever deeper into this recurring theme so present in Indian and Asian philosophical and spiritual traditions, touching on authors like Tiziano Terzani who at diverse levels embody a bridge between East and West. The crucial but arduous theme of stripping the ego and integrate the innate self into the daily life reappears several times in later works, from drawings to paintings culminating implicitly in the incense burnable skulls. Today these themes come back more than ever in Grazioli’s work in the form of social art and social activism. 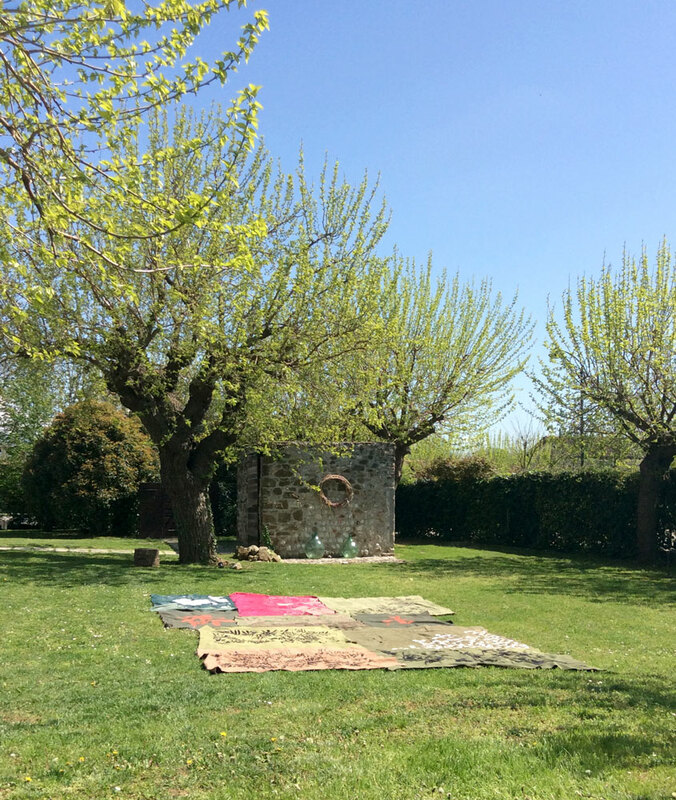 In particular since 2015 the artist started a new course of study in Process Counseling at SPC (Process Counseling School of Trieste) and in Somatic Experiencing® a body oriented approach to the healing of trauma. Inspired by the thinking of the great reformers of the world of psychology such as Arnold Mindell, Carl Rogers and Milton Erickson, Davide Grazioli has started to conduct art inspired personal development workshops, where art becomes the facilitating environment for both individuals and communities towards change. Since 2016 he also cooperates with a Process Counseling School as a facilitator. 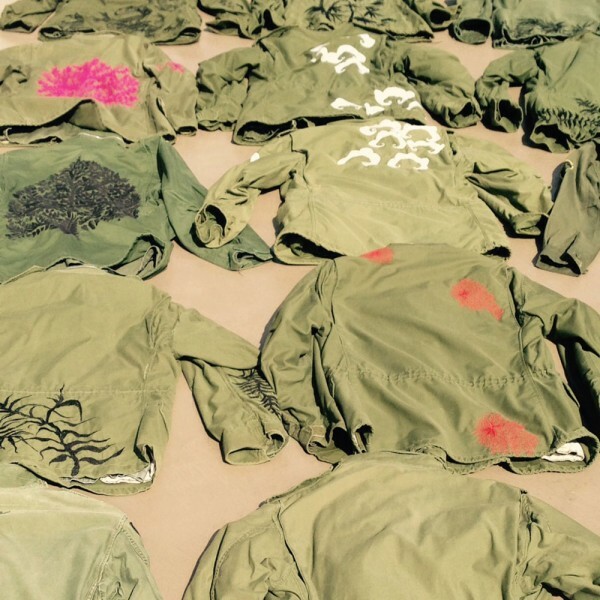 “The Field Jacket Project” started in 2006, during Grazioli’s first of a series of journeys to Vietnam, Laos, Cambodia and Korea, when he started to collect the famous vintage Field Jackets (original combat uniform pieces) dating back to the time of what in South East Asia is known as the “American War”. Deeply impressed by the aura of the past that still permeates the military memorabilia flea markets of South-East Asia -and Saigon in particular- Grazioli started to incorporate the M65 field jacket (more rarely the m-51) in his work using them as the base for a limited series of embroideries. In a natural extension of his main art work the jackets original violent content has been redefined using embroideries with sacred and natural motifs, loading the pieces with a new vibration, a new significance. At times embroidered words appear, which taken together with the other images create a kind of quotation of the work by Masaru Emoto, Luc Montagnier and Jacques Benveniste: the controversial theory on the Memory of Water. 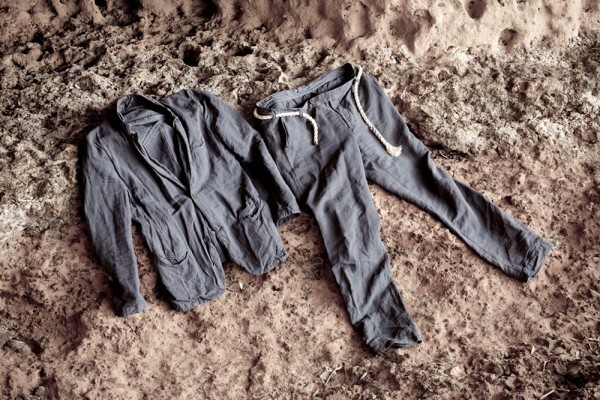 In substance the field Jacket project is both an environmentalist and anti-war manifesto. In Grazioli’s eyes, the two concepts overlapping, especially when considering that during the American War over 100 million litres of toxic chemicals were dropped on Vietnam causing immeasurable environmental damage, the effects of which continue to this day. 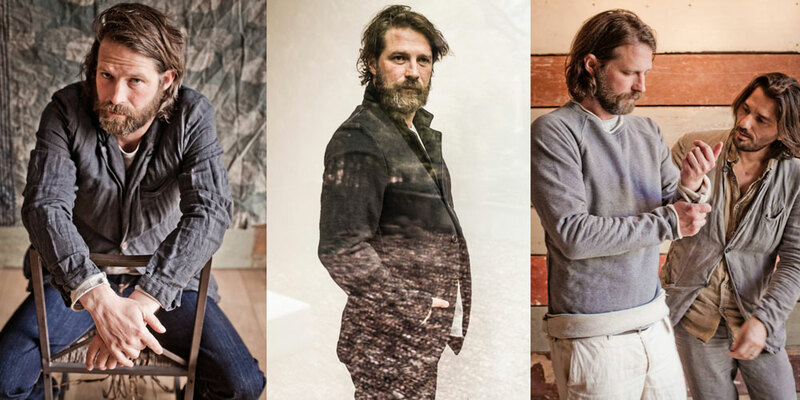 Born out of the ashes of the “Banuq” label, came Atelier Awash, the second Ethical Clothing project initiated by Davide Grazioli, and the first brand for organic sustainable clothing made in Italy.Based on a strict no-compromise environmental vision, the aim of the project has been to demonstrate – even though on a small scale – something that until then was believed to be impossible: that a collection of organic, low-mileage, naturally dyed garments made in Italy could actually meet and even exceed the high standards of contemporary fashion. Atelier Awash, that operated from 2011 to 2015, succeeded in doing just this, with a distribution network that ran from Germany to Austria, America, Japan and Korea. The integral role fabric plays in Davide Grazioli’s work is what has made him conscious of the huge environmental impact of the world’s textile industry. Learning that cotton cultivation alone uses 25% of the world’s pesticide production led him to trespass over the borders into fashion design and conceive Banuq – a clothing collection that embodied total sustainability. Working closely with designer Marina Spadafora and Mauro Pavesi (winner of the IFU – International Fund for Development award ) the aim of Banuq was to create the first sustainable, organic fashion collection ‘Made in Africa’. Although north African political instability brought Banuq to a sudden end, the project operated from 2008 to 2011 and succeeded in creating organic limited-edition garments for an international market, while at the same time bringing clothing know-how to Egypt and Ethiopia through an unprecedented, wholly ethical supply-chain. The project “Hoarding Painters On Tin” was sparked off by a chance encounter with the famous Chenai billboard painters, during Davide Grazioli’s art residency in India in 2003. Known in India as “hoarding painters” (craftsmen who made advertising hoardings for cinema and politics, painting large size realistic images using enamel on tin plate), Davide Grazioli was struck by the fact that these incredibly talented artists were destined to die out as large scale digital printing took over the advertising market quickly erasing slower, more manual techniques. But even at that particular point in time the clash between a manual past and a digital present was conspicuous, with half of the city still hand painted while the other half was printed. A sense of urgency to document this situation drove the artist to extend his solo exhibition “Accidental-Occidental” at the Lalit Kala National Art Academy of India with “the hoarding painters on tin project” and work together with the J.P. Krishnan family and their team of painters. The result was a two month pictorial collaboration with many hands painting on tin, reproducing some of the photographs Grazioli had taken during his recent journey in Tamilnadu, giving life to a unique, unrepeatable series of enamel paintings on the typical raw tin surface.